Proteus MAXIMUS - Outdoor Fixtures - Products - Elation Professional B.V. The PROTEUS MAXIMUS™ an extremely bright IP65 rated LED Profile fixture offering outstanding projection, beam and wash qualities in any environment. 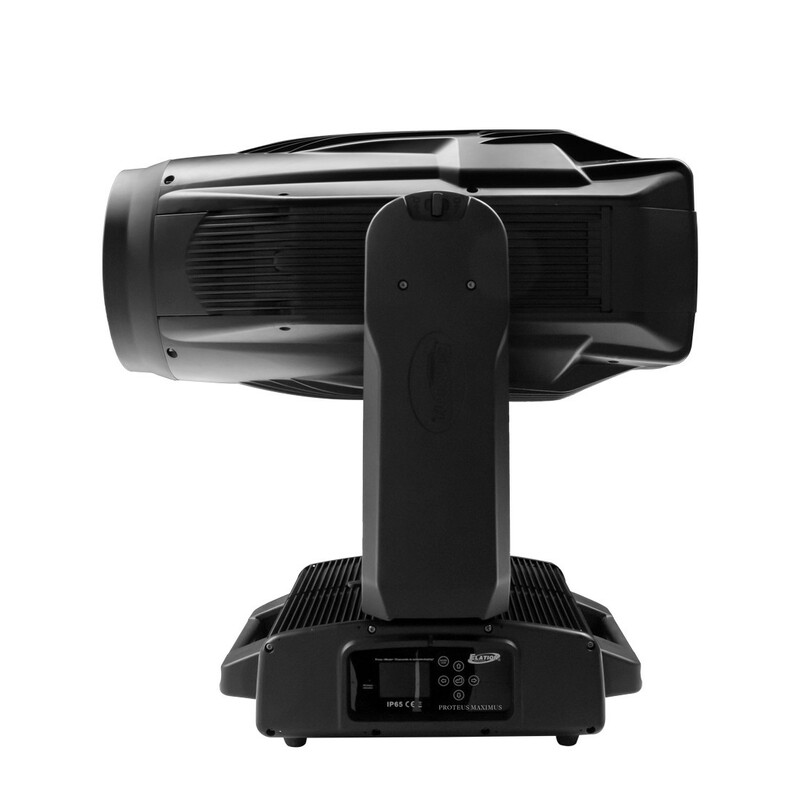 Providing up to 50.000 lumens from its custom designed 950W LED engine the Proteus Maximus is the ideal fixture for any outdoor application requiring superior output, bright and powerful beams, quiet operation as well as stunningly precise gobos and colors. 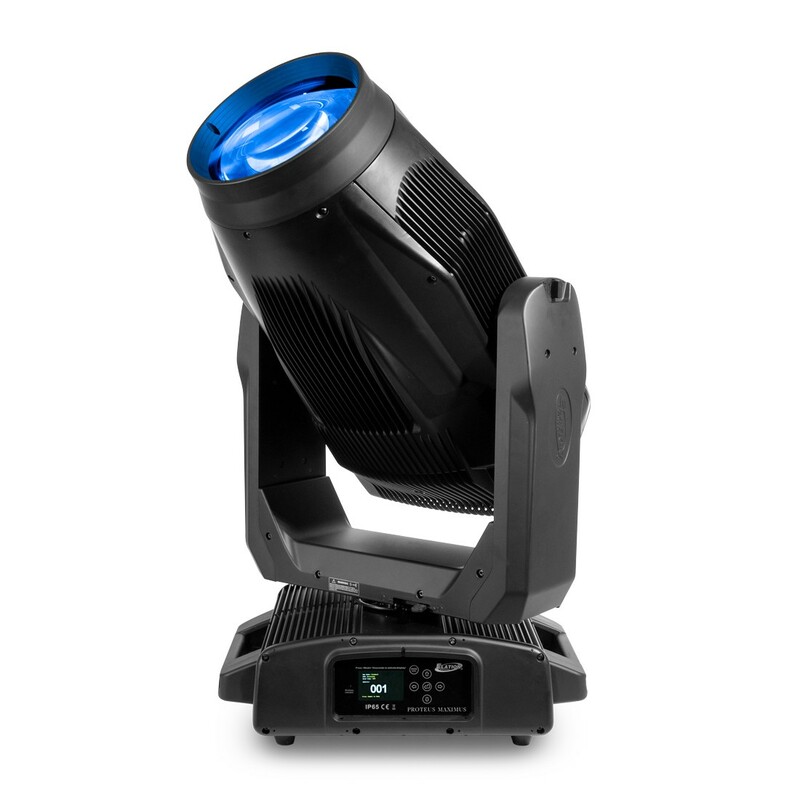 Proteus Maximus provides the designer a comprehensive FX package with 6 rotating and 7 fixed glass gobos, full animation wheel, dual prisms, dual frost and a high-speed Iris. Its indexable framing system provides full blackout shutter cuts for precise beam shape control. 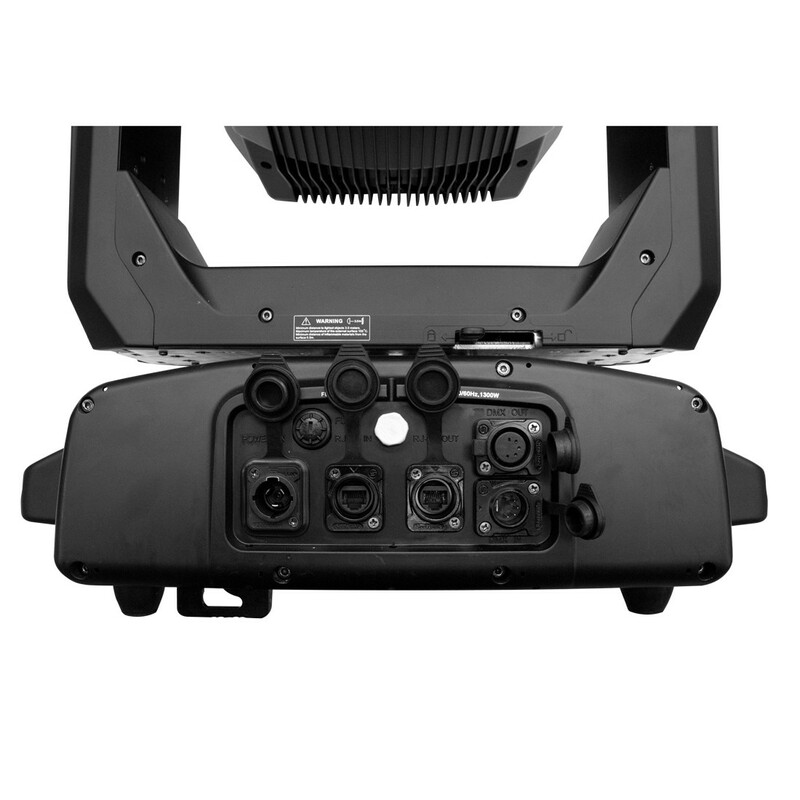 With a fast zoom range from 5.5 to 50 degrees and an impressive 180mm front lens the Proteus Maximus has the power to cut through at great distances in any outdoor concert, special events and with its fully dust and water proof design is an ideal fixture for theme parks and cruise ships. *LED Life may vary depending on several factors including but not limited to: Environmental Conditions, Power/Voltage, Usage Patterns (On-Off Cycling), Control and Dimming.